On a recent cruise on the Norwegian Pearl, our cabin steward Rosario made the towel penguin pictured above for us one day. 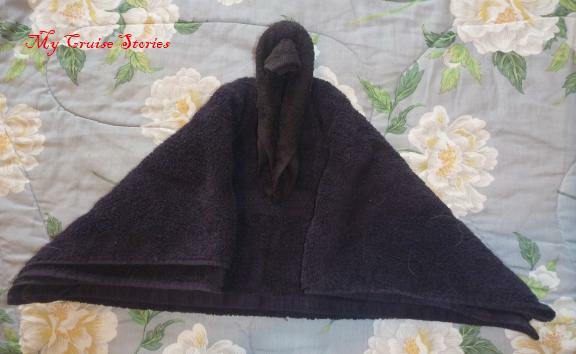 I had not seen a towel penguin before, but thought that with the right colors and a few embellishments it could really come to life. 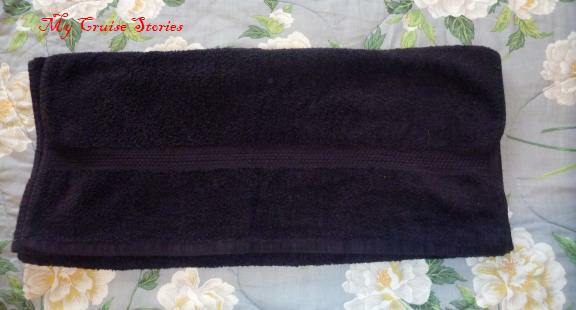 This is a very easy animal to make and one of the cutest so it’s a good starter animal for inexperienced towel animal folders. Place the head between the folds on the body so that the long parts are within the body and only the round head bit sticks above it. You can stand the penguin up at this point and decorate it if you want a one-color penguin. 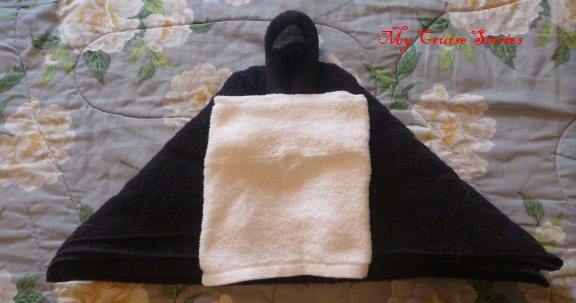 Lay the white washcloth onto the black penguin body with the folded edge at the top. 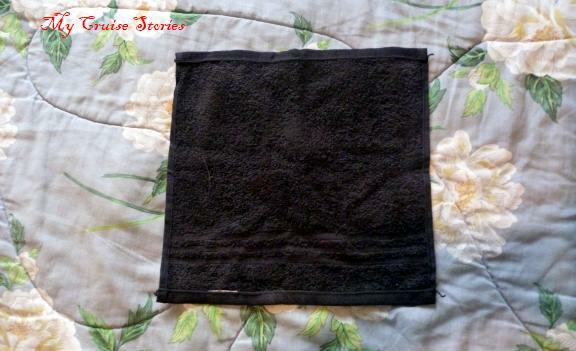 Adjust the folds so it sits from the bottom edge of the corner folds of the black towels to an inch or so under the rounded part and beak. 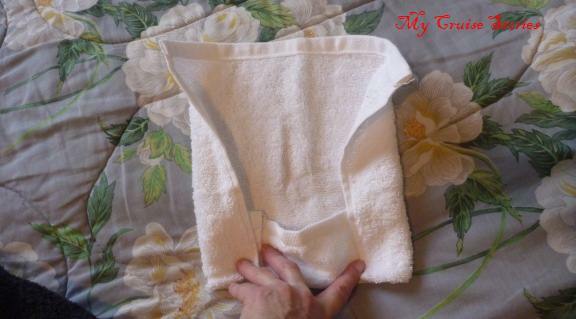 For instructions on how to fold a whole bunch of other towel animals click here or here or visit the towel animal page. 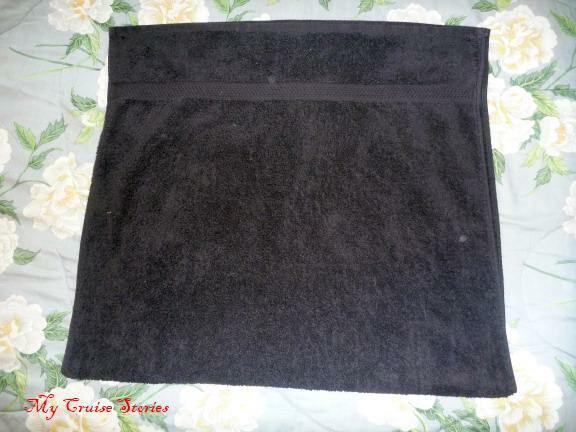 This entry was posted in Pearl, Towel Animals and tagged cruise, cruise ship towel animals, easy towel animals, how to, penguin, photos, towel animals, towel bird, towel penguin, video. Bookmark the permalink. 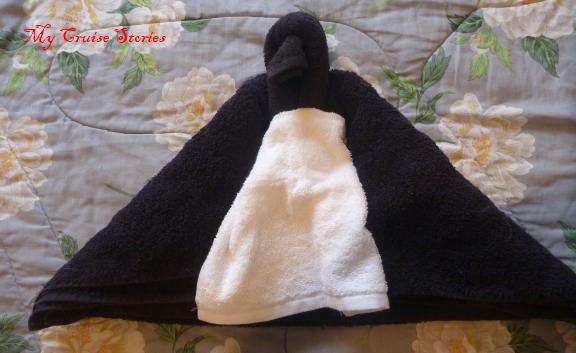 If I was the Mr. Blackwell of towel penguins, yours strikes me as much more creative than Rosario’s. I’d put it on the 10 best folded towel animals list. Thanks! 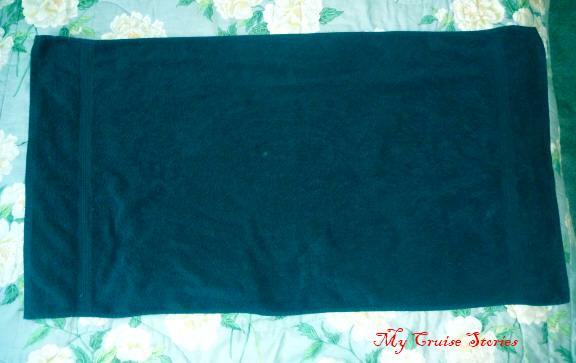 To be fair, all the cruise ship stateroom stewards have available to them is white towels and bits of paper. 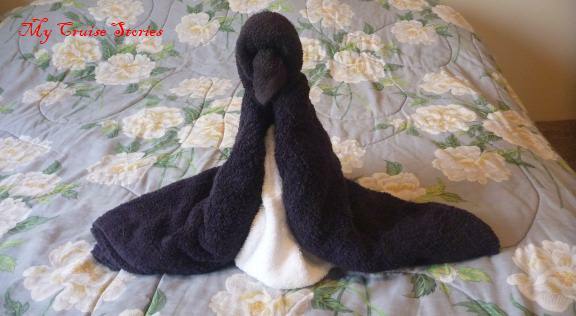 I think the towel penguin is the best towel animal yet. 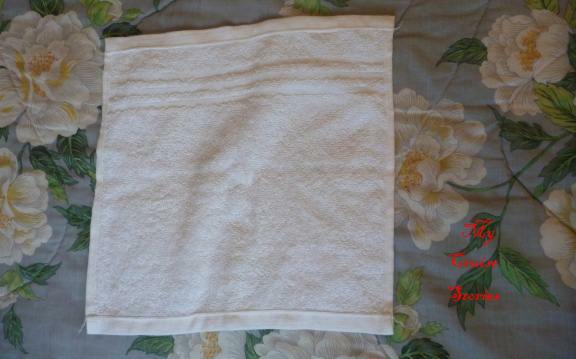 If you have to use all white towels like on the ship though I think hanging monkey still wins though. I really liked the way the penguin turned out too.